I have a great deal of respect for our once great nation, and where we once stood on the world stage. Some of my friends call me a hypocrite since I think more conservatively now than I have in the past. After my time in the military, I was angry at the world; angry at my government and myself. I devoted my life to serving my country and was suddenly thrust back into the civilian world. My life, and the lives of my family were turned upside down. I blamed everyone except myself and wanted things handed to me. I went into a severe downward spiral and it was not until I decided to pick myself up that I knew that I was the only one who could get me where I needed to be. I started taking courses that would help me move into a better profession and went back to school to earn my degree. I went to the Veterans Administration to get the help that I needed: educational, personal, medical and psychological. Government programs are meant to be a hand-up, and not just a hand-out. If you are not working to try to help yourself, you are not helping anybody. When I sobered up, I saw the world around me and realized that I needed to make my life better in order to help the people around me. When I began studying politics and public policy, I saw an educational system that favored leftism and moved away from free thinking and debating every side of the issue. Any negativity toward leftists in power was shunned while negative thinking toward conservatives was expected and encouraged. I was fortunate to make it through college with my belief system intact. I see every side of the issue and want to put forward the best possible solution. It seems lately that more often than not, the right solution is conservative. Forcing people to do things that they do not want to do is not the way to make a better society. Yes, changes need to be made, and we need to look at ourselves in order to affect that change. We cannot ask the government to control our lives. The government needs to step back and allow people to succeed or fail. Everyone in this country has that equal opportunity. Unfortunately, we have become a nation that believes everyone is equal, while, at the same time, everyone is unique and special. Dr. King believed that everyone should be judged by their character and not the color of their skin or their heritage. I believe that we should not judge people based on other’s opinions or a few actions taken out of context but on their actions and character as a whole. We should especially not judge people for something we have done ourselves. We are so far from that ideal that it will take a generation to return to what made us great. We do not promote competition in schools and many schools are moving away from the grade point system. Of course, most employers who rely on degrees for specific jobs want to know grade point averages. Do we understand the problem? I believe our kids should participate in sports and reinforce the idea of competition. After all, if we are not competing, how will we improve? If we get a trophy for showing up, we will be sorely disappointed when we are not the employee of the month. In order to succeed we need to encourage our children to try and fail. If we focus on equal opportunity instead of equal outcome, we can achieve greatness again. We need to be able to compete on the world stage. Every American has the opportunity to succeed or fail in this country. Many believe that the government should run every aspect of our lives, others believe that the government is the problem. I do not agree with everything our president stands for or his outward behavior, but I do believe that our leader cares about the country and wants her to succeed and be a true leader on the world stage. We should help our own first, with a hand-up, and stop giving money and aid to other countries that aim to do us harm. We have so many laws and regulations that we have no idea how to behave. We are becoming so politically correct that we are afraid to speak our minds for fear of being sued for something ridiculous. If my patriotism and love for this country offends you, frankly, I do not care. 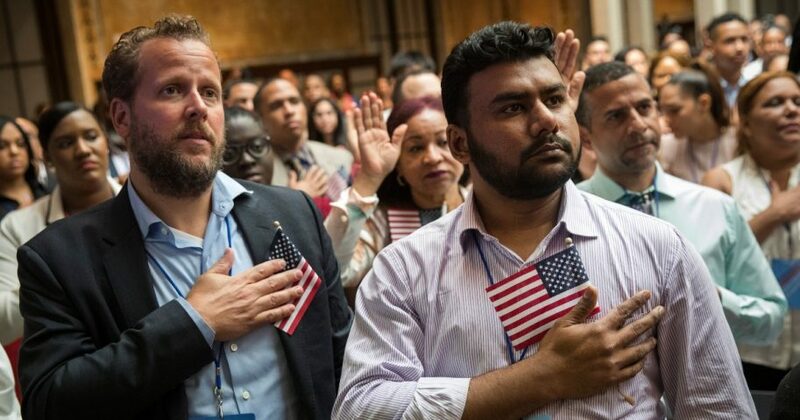 If you escape your country for a better life, but continue to show love for the home you left and turn this country into the country that you left, then why did you leave? My grandparents came here from the Czech Republic for a better life and strived to become American. We need to return to that. If you come to this country for a better life, you need to learn our language, assimilate to our culture, and earn your American citizenship. Immigrants used to be proud to become American Citizens. We need to return to the ideals that made America a nation that people wanted to become a part of, instead of just a place to which to escape. Timothy Carroll is a former-Active Duty Marine who served during the Cold War under President Ronald Reagan from 1983-1988. He was discharged under medical conditions and returned to Public Service in 2010 after earning his B.S. and M.P.A. in public administration, specializing in public policy analysis.